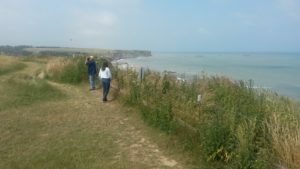 Having been on a family road trip to Normandy a few years ago, the experience has remained a vivid remembrance of the horrors of a war that was fought mostly in France. Well, that is not entirely fair since the Eastern Front in Poland, Ukraine and Russia had far more casualties, and World War II did also involve battles in East and Southeast Asia as well as Northern Africa. But nonetheless, it is just one example of how the horrors of war are entrenched in the land of this country and in the psyche of its people. 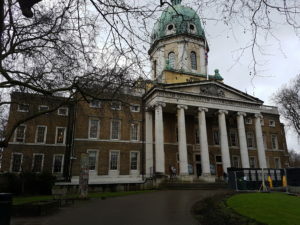 In this “musing”, I build on earlier reflections about the lingering effects of World War II on the Riviera with my impressions of a recent visit to the Imperial War Museum in London. La Journée internationale de la femme (8 mars) est une journée mondiale célébrant les réalisations sociales, économiques, culturelles et politiques des femmes. Pour moi, ce fut une journée marquée par des événements spéciaux, que ce soit à Genève où j’ai travaillé pendant plus de 20 ans ou à Washington, DC et ailleurs aux États-Unis, pour sensibiliser à l’égalité des sexes. En cette première année de ma retraite dans le sud de la France, j’ai été ravie de découvrir que la petite commune de Peymeinade près de chez moi faisait activement la promotion de toute une série d’événements pour célébrer la journée, pas seulement le 8 mars, mais pendant 2 semaines! Les expositions sur «100 ans de lutte pour l’égalité» et sur «Les femmes exceptionnelles» sont les traits marquants de l’actualité. Le premier était exposé à la Salle art et culture jusqu’au jeudi 15 mars 2018 et le second était exposé au Hall d’honneur de la Mairie jusqu’au Vendredi 9 mars 2018. Je me suis risqué l’autre jour, une journée relativement douce et ensoleillée après la tempête de neige de trois jours qui avait soufflé sur la Côte d’Azur plus tôt dans la semaine, pour explorer la ville à la recherche de ces expositions. International Women’s Day (8 March) is a global day celebrating the social, economic, cultural and political achievements of women. 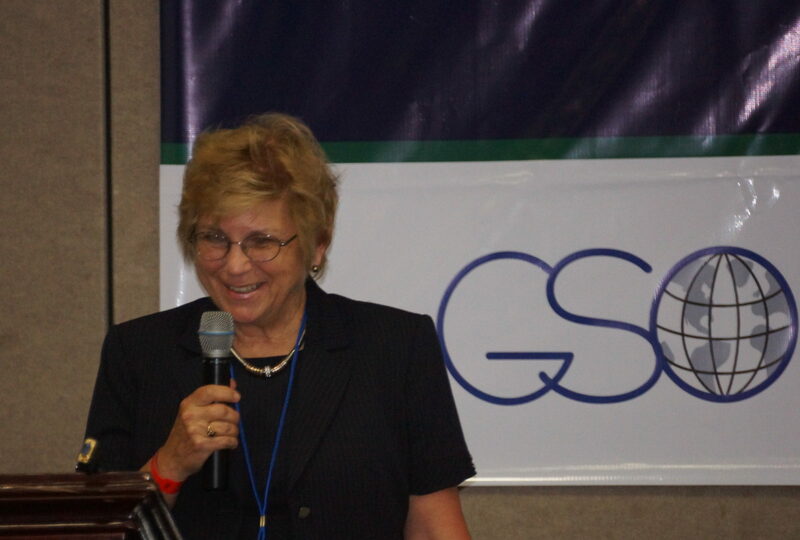 For me, it has been a day marked by special events, whether in Geneva where I worked for over 20 years or in Washington, DC and elsewhere in the US from my earlier days, to raise awareness of gender equality. 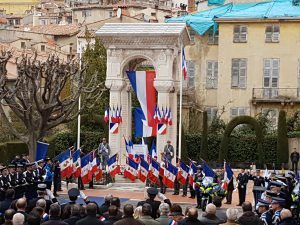 In this first year of my retirement living in Southern France, I was delighted to discover that the small commune of Peymeinade near my home was actively promoting a whole series of events to recognize the day – not just on 8 March but for two weeks! 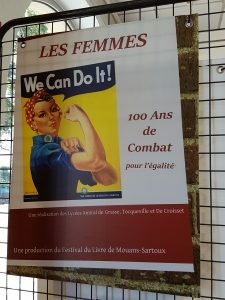 The expositions on « 100 Ans de Combat pour l’égalité » (100 Years of Struggle for Equality) and on “Les Femmes Excetionnelles » (Exceptional Women) are the ongoing features of note. The first was on display at the Salle art et culture (the Art and Culture Room) until Thursday, 15 March 2018, and the second was on display at the Hall d’Acceuil de la Mairie (the Reception Hall of the Town Hall) until Friday, 9 March 2018. I ventured out the other day, a relatively mild and sunny day following the three-day freak snowstorm that had blown through the Cote d’Azur earlier in the week, to explore the town in search of these exhibits. In search of a green thumb, but also in search of a wild boar, I was inspired to attend the “premieres assises agricoles du pays Grassois” on Thursday, 22 February (2018), even though I had no formal role in the proceedings. 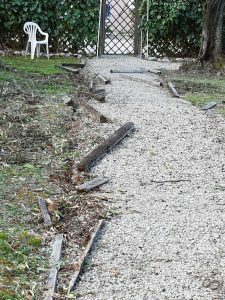 Having settled into a semi-retired state by moving our primary residence from Geneva to Grasse, I had discovered a gaping hole in my skill levels when it came to figuring out what to do with the abundant land attached to our ancient villa and a disastrous first go at a vegetable garden. 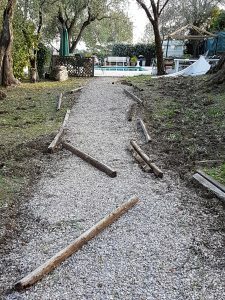 This failure was further aggravated by the sudden and unfamiliar appearance of what proved to be the diggings of an invasive wild boar, who left a mess in the grassy areas under the olive trees in our expansive terrain. With some trepidation as a foreigner in a strange land (and unfamiliar about the basics of tilling the same strange land! ), I took the bold step to, basically, “crash” this conference since no one responded to my email inquiry about a late registration. As it turned out, there was no registration desk at the entrance, just a welcoming party that waved me on into a buzzing crowd of farmers and breeders. In the process, I was surprised to learn a lot more than I had expected to learn. Getting to know the inner streets of Grasse is a wintry diversion that includes leisurely strolls along quiet pedestrian walkways that are normally bustling with tourists and locals when the weather is warm. The relaxed pace allows time to appreciate the contrasts between the colorfully renovated buildings housing shops and apartment dwellers, on the one hand, and the crumbling and dilapidated vacant structures along narrow cobblestone pathways, on the other. An empty storefront has posted declarations from a group calling itself “l ’Alternative”, lamenting the high vacancy rate (40 per cent) and neglect for a healthy environment in the town, especially where there is also a housing shortage. But then, turning the corner, one sees other posters announcing sporting events in the coming months, along with the thematic promotion for this year’s traditional Grasse rose festival in May – all oriented to a thriving, revitalized Grasse! 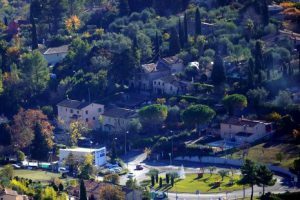 It seems that the current Mayor of Grasse, Jerome Viaud, is trying diligently to elevate the image of this ancient perfume capital of the world. On a chilly grey morning, we came across yet another display of this revitalized pageantry in the square in front of the cathedral and hotel de ville (i.e. city hall). Warm greetings to you for a happy and peaceful holiday season. We are taking this opportunity from Villa Ndio to celebrate the small victories of collaborative efforts – the political inroads for positive change in Virginia and Alabama and yes, even here in France. The shock and embarrassment of the US Presidential election result in 2016 continue to haunt us, but we are inspired to look to 2018 with these signs of change. We are also hopeful that the cultural shift in addressing sexual harassment will in fact take hold. Reflections on the ACLU: It would take me a while to search for the legal history on which case it was that Ruth Bader Ginsburg criticized the timing of in the context of what I came to understand was a carefully crafted legal strategy during an ACLU Board debate on the ACLU’s Women’s Rights Project. 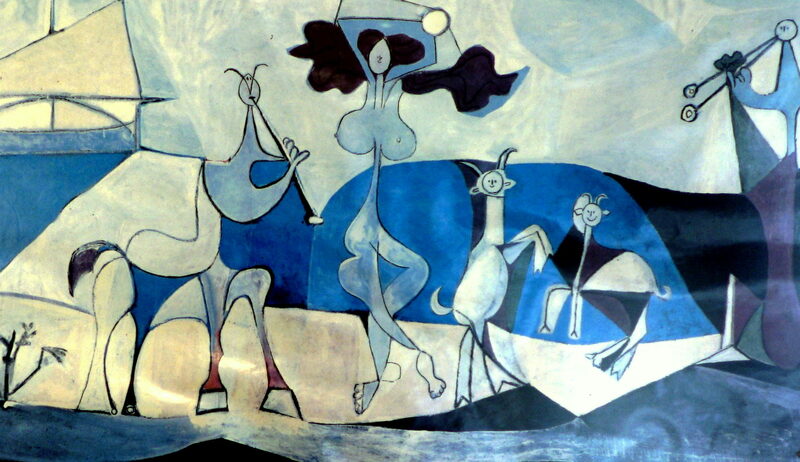 Sometime in the 1970s – perhaps 1973? It was a case, she argued, that disrupted that strategy to build towards an interpretation of the 14th Amendment through case law that could essentially eliminate the need for an Equal Rights Amendment. Something to do with Oklahoma sticks in my mind. As a new member of the ACLU Board by virtue of being a representative from the North Carolina affiliate, I remember being amazed by her stance and awestruck by her sophisticated arguments. It was quite a lesson in how constitutional law can be influenced by a deliberate strategy – not just through one case but through a series of cases if they are deliberately chosen and sequentially developed to move the judicial interpretation in a certain direction. Here are some reflections on a dramatic change in ACLU strategy today, but I start with a historical perspective. I have long been a defender of civil liberties for all groups, as long as they do not condone or engage in violence, but we were horrified by the evil on display in Charlottesville, Virginia. And we were further offended by the damage of a failed American president whose words and behavior were so lacking of a moral compass to condemn in no uncertain terms the fundamental evils of what these groups were advocating – and doing! To suggest that there were “fine people” on “many sides” of this confrontation is shocking, indeed.